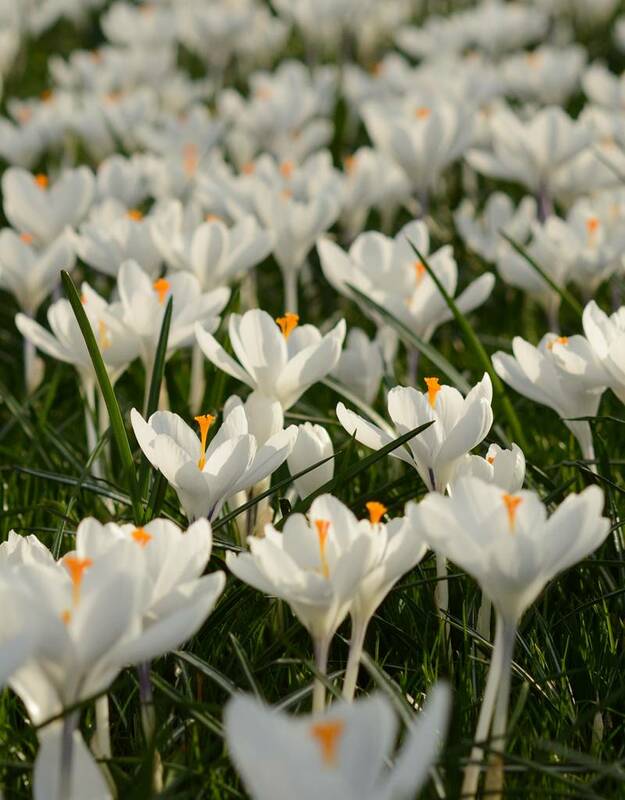 Crocus vernus 'Jeanne d'Arc' is a widely used Crocus that features in many a council park (that’s to say in the Netherlands); but is actually also a crocus worthy of the private garden! 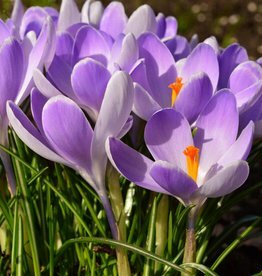 Crocus vernus 'Jeanne d'Arc' is a richly flowering Dutch Crocus with stunning orange stamens. 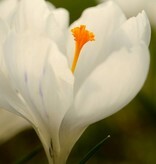 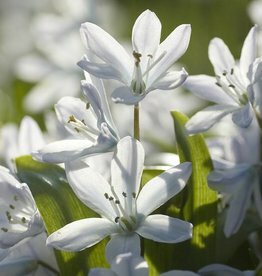 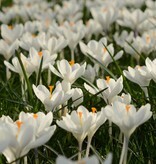 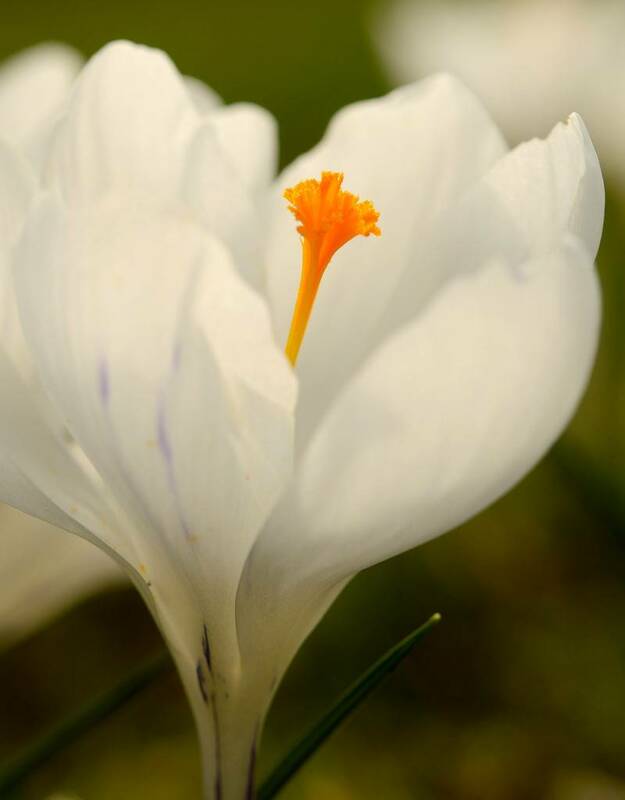 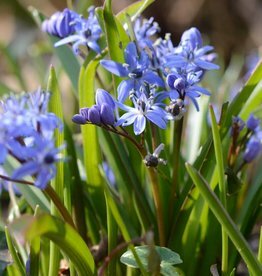 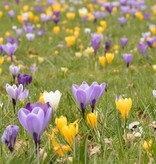 This crocus is extremely suitable for naturalising and can also be planted in pots. 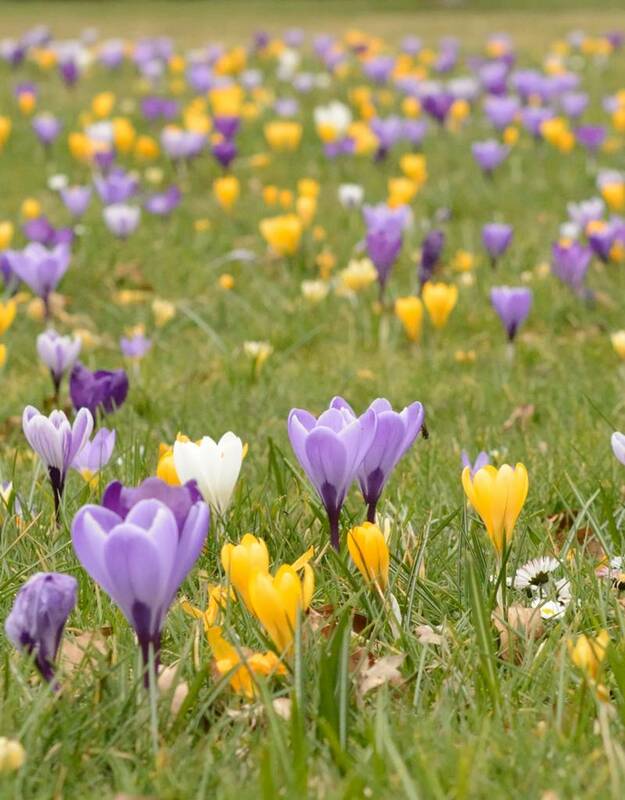 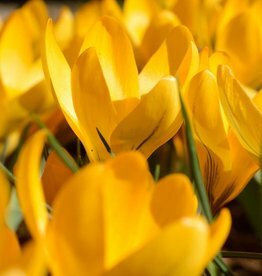 Just an idea… plant Crocus vernus ‘Jeanne d’Arc’ with Crocus vernus ‘Vanguard’ (Dutch crocus) and Crocus flavus (Yellow crocus). 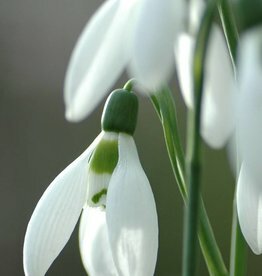 See the second photo below for the result.